Is God Calling You to Be a Deaconess? In the history of the Church, deaconesses have proved indispensable. In the early Church they were able to engage a hostile world by their service to women, children, slaves, those in poverty, the aged, and the infirm. Our contemporary circumstances continue to cry out for deaconesses, through whom the Church can engage the secular age with a concrete, incarnate, and public ministry of mercy and charity. Theologically trained both in the classroom and in the field, the deaconesses who graduate from this program go out into the world to serve alongside pastors, using their skills to embody Christ’s care in the midst of suffering, and to point those in need back to the church where they may receive Christ’s gifts through the means of grace. Deaconesses serve across a variety of settings, from congregations and health, educational, and military institutions to mission work both here and abroad. What does it mean to be a servant of mercy? Why is their ministry essential to the Church? There is no better way to be prepared to teach, reach and care for God’s people than by being fully formed through your seminary experience at CTSFW. We live in a world where people are perpetually in need of mercy. As a deaconess you will be a visible presence of the love of Christ in a hurting and dying world. You have options for where you begin your journey. 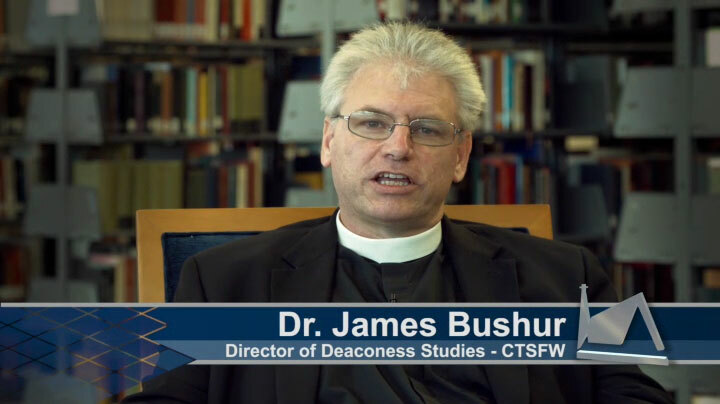 There are a number of reasons that Concordia Theological Seminary in Fort Wayne is the best place to be formed for service in our Lord’s Church. The best way to be formed as a servant of mercy to Christ’s Church. For women with significant life experience in human care, we offer a program with combined online and residential coursework. For more information concerning the SMP Admission Process and the Application File Click Here. Do you have questions? Need some help discerning whether ministry is right for you? Contact our Admission team!